Another Wednesday is on us and I have had very little time to do any hobby time. What little I did get was directed to a commission I have due in two weeks. 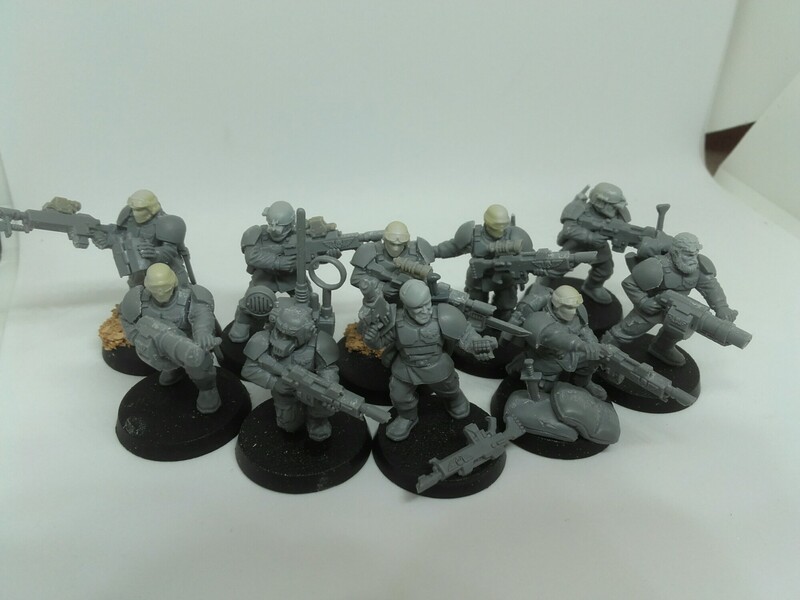 The second squad of Cadian Special Ops are now finished building and ready for basecoat! Just some quick pictures for you today. The first showing the full squad together here. 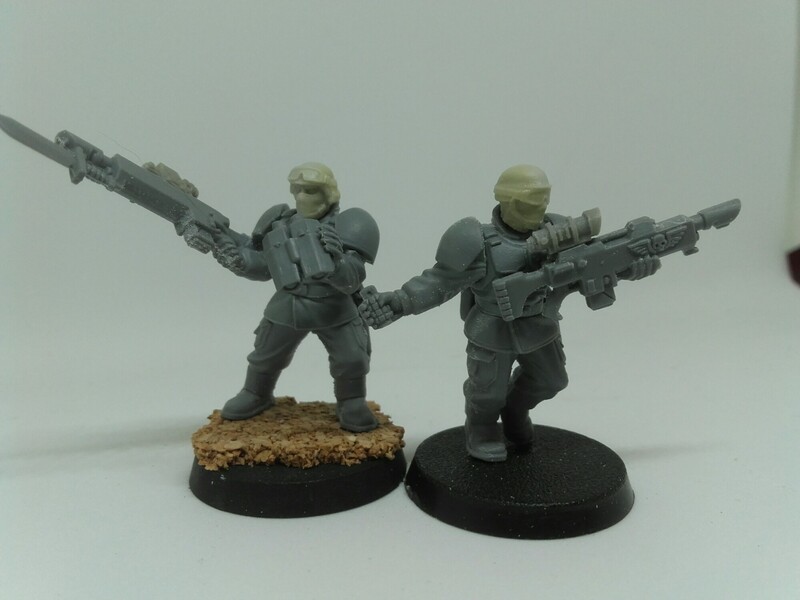 As per request both squads come with a pair of grenade launchers and sarges. 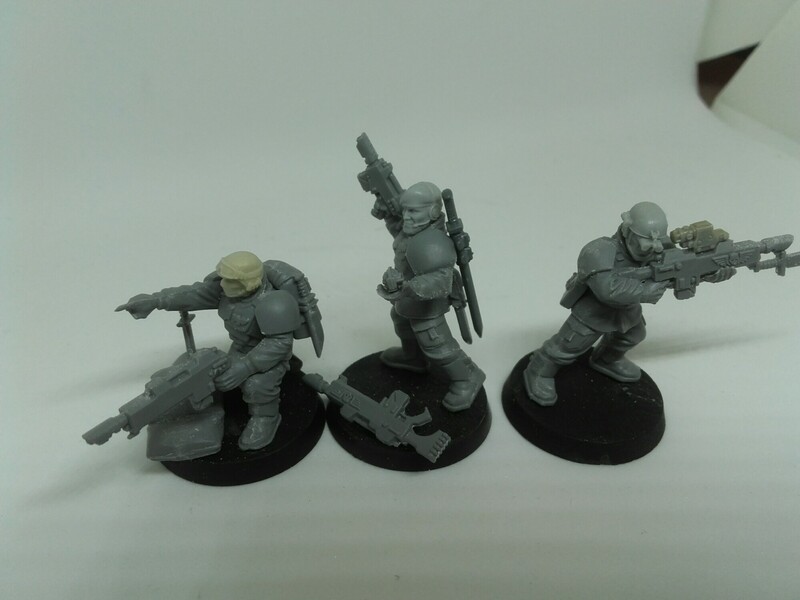 There is a mix of Anvil Industries parts from the client and regular old Cadians. I tried to keep the poses a little bit different without being randomly outside the box. Quick snip gave the crouching trooper a carbine and all. The sarge got a Space Marine knife from Betrayal at Calth, more than enough to be a sword on him. The trooper on the right here is my favourite, the pose and gear jist came together for it. 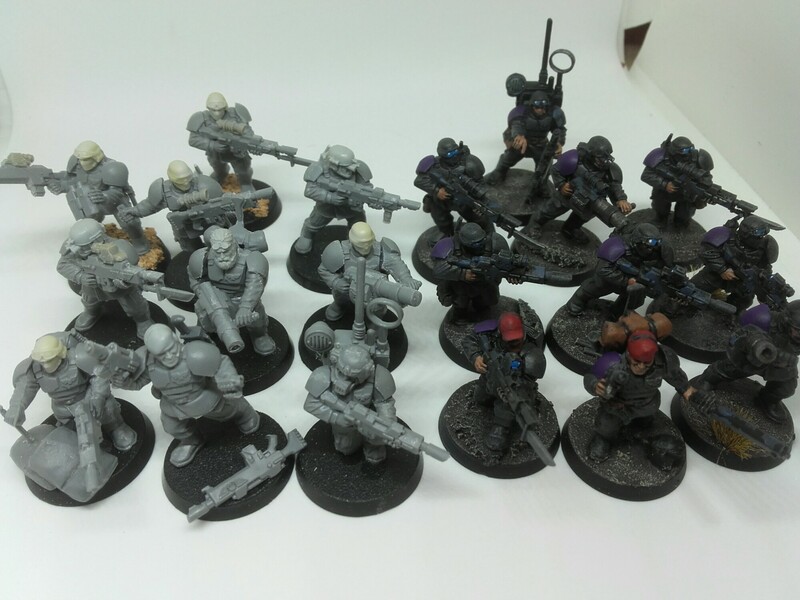 Speaking of paint I took a quick snap of them alongside the painted versions for a glimpse of the future. This squad will be getting a different spot colour on the shoulder to make them stand out and all. Any thoughts? I plan to stick with the same blue lenses and flares throughout to help tie them together at least. Hopefully I will get a bit of nice weather tomorrow to hit them with some basecoat and get working on them. There is a lot to get done and about a week to get it done.